Are you tired of the boring look of your debit card? Fancy a change? Why not take a look at our range of credit/debit card stickers. 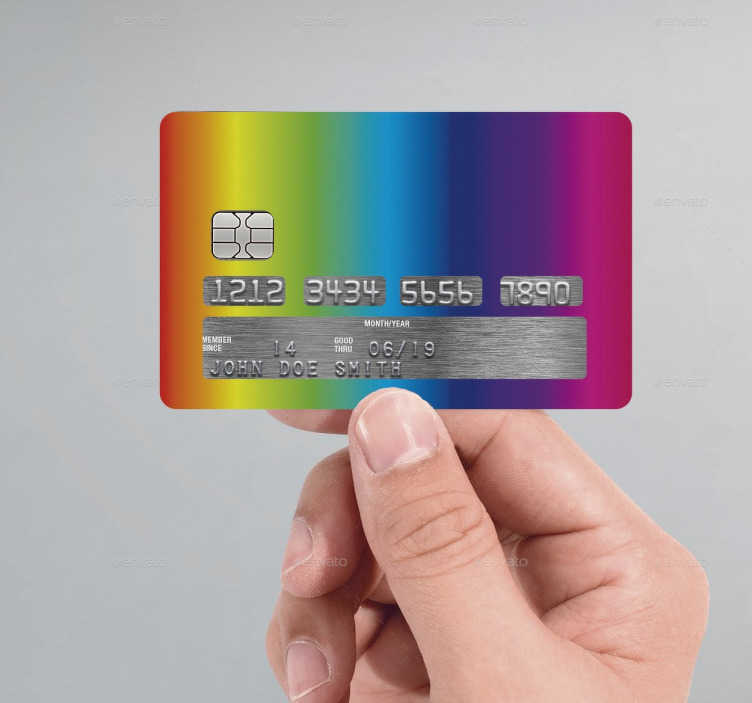 This credit card sticker, consists of all the colours of the rainbow. Bring some excitement back to banking. All the stickers are carefully cut to fit on your card perfectly, with the important information also on show.